Garden City Remodeling - "Committed to Quality"
Why Choose Garden City Remodeling? 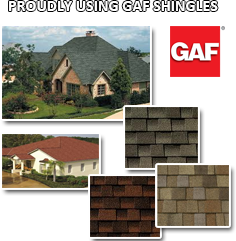 Garden City Remodeling uses GAF shingles as our preferred brand. Garden City Remodeling stands behind GAF roofing products, you can count on consistency and the highest quality the industry has to offer.